Turkey Bacon? This is not the first time we have tried a similar product. 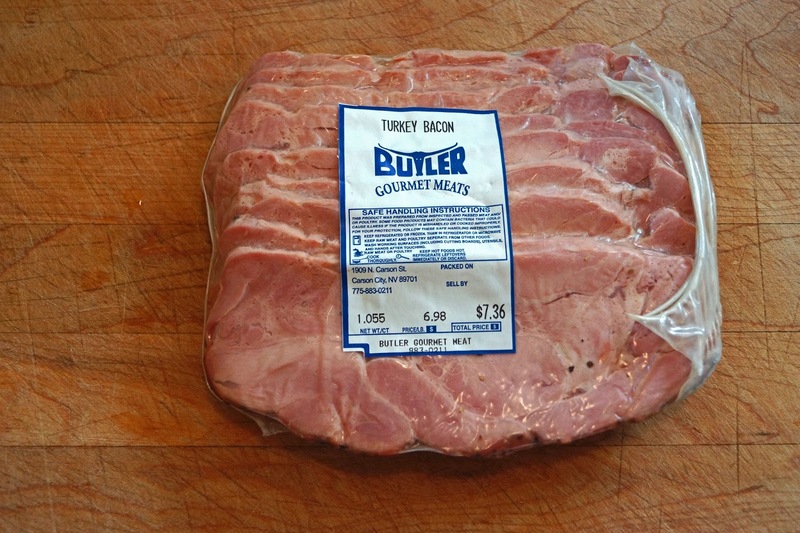 This turkey bacon comes from Butler Meats located in Carson City Nevada. 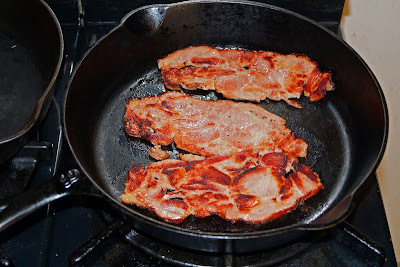 Merriam Webster defines bacon as; "a side of a pig cured and smoked". 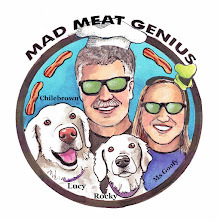 We are trying this so called 'bacon' with an open mind. This cured meat was very lean and needed a little oil to prevent sticking in our black iron pan. It never really crisped like traditional bacon. It did brown up nicely. The bacon had a flavor of ham. It was salty with a slight hint of smoke. There was a little sweetness to make a good balance of flavors. Overall it was pretty tasty. Would I call this bacon? 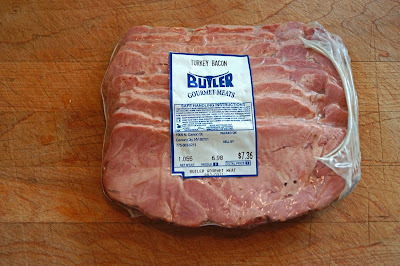 No, but a label of processed turkey parts might not sell as well. Big Dude, Turkey bacon is not bad. I think it should be labeled as a turkey cold cut. It actually is decent for a sandwich. It is not bacon.